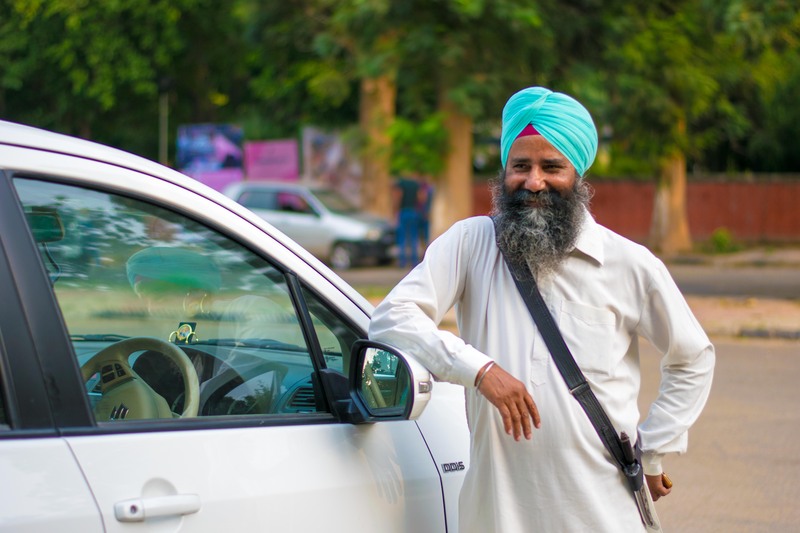 As we celebrate 3 humbling years of Uber Chandigarh, it would be incomplete without recognizing the pillars who have made it all possible – the unsung heroes, the everyday folks with extraordinary stories. These are stories of integrity, of character & of winning in life notwithstanding adverse circumstances. My name is Harpal Singh. I am an Amritdhari Sikh, born in the holy city of Amritsar. I lost my father at the age of 11, after which we decided to move to Ludhiana. My elder brother was a truck driver, and he single handedly brought us all up. I had even joined Punjab Police in 1991, but had to leave 3 years later. I learnt basic auto mechanic skills in Ludhiana, and started working as a mechanic, but it wasn’t a well paying job considering that I also had the responsibility of a family. At the insistence of my brother in-law, I moved to Chandigarh in 2005, where he had his own property dealing business. I worked with him for a few months, but soon started driving an auto, taken on rent at Rs. 300 per day. By 2008, with the grace of God, I had 4 autos, 3 of which I had rented out to other drivers. In 2014 when Uber came to Chandigarh, my brother in-law suggested that I should start driving a car. My children were getting older, so it made sense for me to get into a more rewarding line of work. Uber changed my whole perspective of driving. Earlier I had to track down spots where I would get customers and then haggle for small amount of money, now the customers come to me directly through the Uber app, regardless of my location. They pay an upfront fare and leave with a smile on their faces. Now, almost 3 years later, I have 5 cars – all attached with Uber, and even have a registered taxi stand. Uber has given me the means to do much more than raise my family and to provide for them. Both my children are now pursuing professional courses and I am able to help them follow their dreams. That’s all that a parent can wish for. My best rider memory: I had once dropped a rider from Panchkula to the Railway Station at 1 AM. They were a family of 3, husband, wife and child. All the way the child was getting cranky having been woken up from his sleep in the middle of the night. I chatted with the child till he was distracted which was a huge relief to the parents. The child was deep in sleep by the time we reached the railways station and the parents were highly grateful. 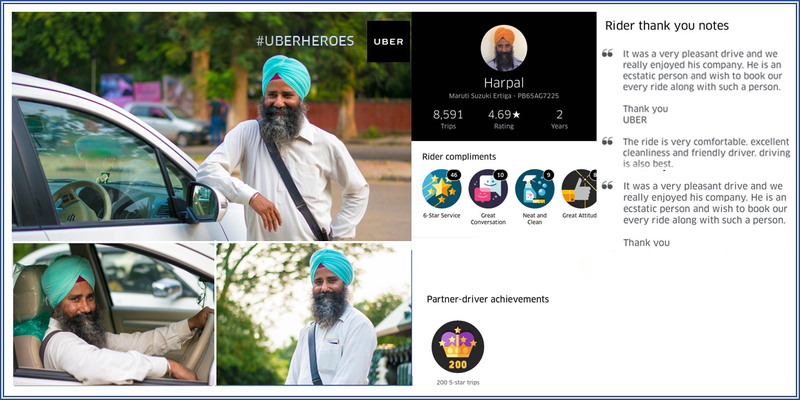 We salute Mr Harpal Singh for being an inspiring Uber partner. Watch out for more such amazing stories soon!